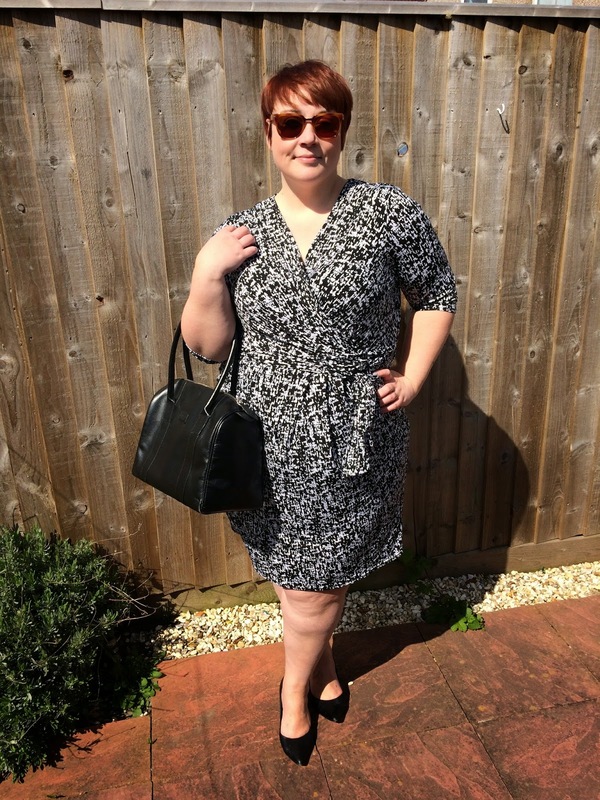 Giveaway: Ideal World - Styled by Genevieve. It's a winning weekend on the blog! I've got two giveaway's for you! The first of which is brought to you by the awesome folk at Ideal World. You can win a dress of your choice from the Style by Genevieve range. Styled by Genevieve is available online from www.idealworld.tv and Ideal World is currently celebrating their 15th Birthday so will be celebrating with lots of fantastic offers, head to www.idealworld.tv to find out more. 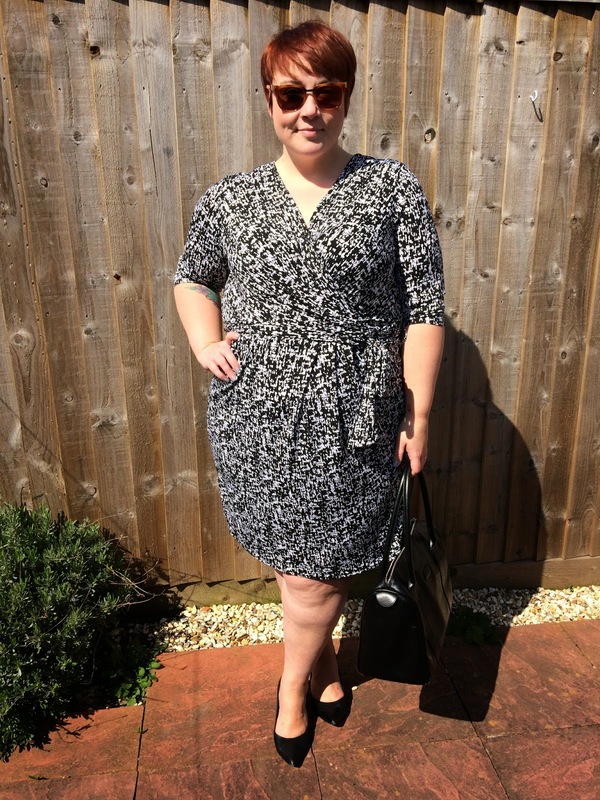 I'm wearing the Styled by Genevieve wrap dress in the black and white colour option. 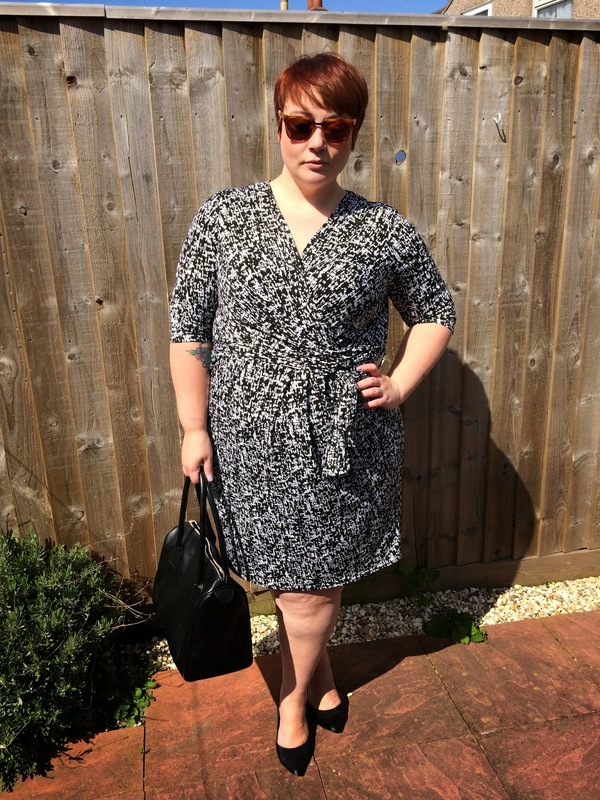 The dress available up to a size 22. I am wearing the 22 and found it true to size. The dress has a built in slip which gives it structure and shape without being restrictive. 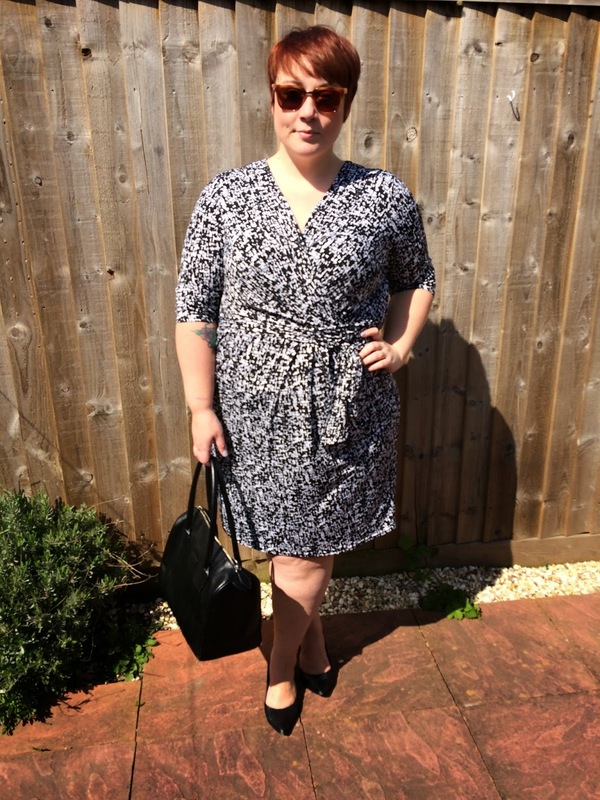 The wrap is nice and high, so it's a fantastic option for work or an interview for example. The fabric is soft and silky with lots of stretch so it is comfortable and flexible. If I still worked in an office I think I would live and die in this dress. It's just so practical but stylish. The Styled by Genevieve Spring collection is now available online from www.idealworld.tv for your chance to win this dress click on the following link > Win with Mrs BeBe (Terms and Conditions as per the Ideal World website). Beautiful dress - one of those slip on & look fabulous pieces!